Consumers are on board with virtual health options Can the health care system deliver? Consumers of all ages are using technology in all aspects of their lives, and health care is no exception. Outside of health care, most consumers shop online (92 percent) and use online or mobile banking (83 percent). Although health care needs can be complex, 59 percent of consumers use technology to refill prescriptions, and 42 percent use it to measure health and fitness. Consumers’ use of technology for health care purposes has increased since 2015, particularly for measuring fitness and monitoring health issues. Among respondents who said they were interested in tracking their health, consumers of all ages use digital assistants to receive medication alerts (75 percent). Younger consumers use digital assistants to monitor health (81 percent). Consumers are starting to try virtual visits, but experience has been mixed. Our findings highlight opportunities for clinicians to improve bedside-to-webside manner. While 77 percent of consumers have never tried a virtual visit, more than half (57 percent) of survey respondents said they are willing to try. Millennials are more likely than other age groups to have had a virtual visit. Most consumers who have tried virtual visits report a high level of satisfaction (77 percent). However, only 53 percent of consumers thought the health care professional they saw during the virtual visit was as professional or knowledgeable as someone they would see during an in-person visit. Fewer than half of consumers (44 percent) said the wait time was shorter for a virtual visit, and only one-third felt they received the information they needed. Health systems should keep technology-savvy seniors in mind when implementing virtual health strategies. While older consumers tend to be less interested in using technology for health care than younger consumers, health systems and health plans should note that some seniors (defined in our survey as those born before 1946) are technology-savvy and interested in using technology for future health care needs. About half of the consumers who use technology to track fitness and health improvement goals say they share this information with their doctors. Seniors from this group are more likely to share their tracked information with a doctor (67 percent) than are millennials (59 percent). Many health care organizations have already implemented a virtual health strategy, but the elements of these strategies vary. Moreover, virtual health care is still in the early stages of development. Now is likely the time for health systems to put the right infrastructure and strategies in place and help ensure that appropriate technologies and platforms are integrated into the care delivery model. Health systems should also train their workforces to offer virtual services in a way that keeps the patient–clinician relationship at the center. This can help health systems offer a seamless experience for patients whether care is virtual or in-person. There are many compelling reasons for hospitals and health systems to implement virtual health. Leading the list are technological advances that are improving the ability of people to connect with each other.3 Patients, health systems, clinicians, and health plans can connect with each other through a variety of channels based on their communication and interaction preferences. Virtual health can enable continuous, connected care via digital and telecommunication technologies. Beyond simply enabling video visits, virtual health can complement or, as appropriate, substitute for in-person care. With applications designed to drive connected, coordinated care, virtual health can present a critical opportunity for health care organizations to increase access, improve the quality and value of care, and establish a competitive advantage. Engaging with clinicians and patients in a virtual manner to provide care and impact health includes, but is not limited to, patient-facing solutions such as video visits, remote monitoring, asynchronous visits, and medication adherence. It can also include clinician or provider-facing solutions such as virtual consults and virtual second opinions. Medicaid programs in 49 states and the District of Columbia now offer some telehealth coverage.5 A growing number of private health plans pay for telehealth visits. As of 2016, 74 percent of large employer-sponsored health plans had incorporated telehealth into their benefits (up from 48 percent in 2015).6 Some states are exploring or have already passed legislation allowing physicians to conduct virtual visits with patients outside of their own state. Among the most compelling reasons for the continued growth of virtual health is the mounting evidence of improved health outcomes, cost savings, and better access and increased convenience for patients.7 Studies have demonstrated that virtual health strategies can lead to a 14-percent reduction in length of hospital stays, and remote monitoring of patients (once they leave the hospital) can cut readmission rates.8 Adoption of virtual health could extend the reach of physicians and other care providers and could make care more convenient for patients. However, as health systems and health plans implement and refine their virtual health strategies, it can be critical that they consider the importance of integrating their virtual offerings with the patient’s existing care team. The information collected from a virtual visit should be shared seamlessly with the patient’s care team and combined into an integrated electronic health record. The reasons for adopting virtual care are compelling, but is the consumer on board? The Deloitte Center for Health Solutions conducted a nationally representative survey of US health care consumers from February to March 2018 to identify trends in consumer experience with virtual health. We describe our findings below. Consumers of all ages shop online (92 percent) and use online or mobile banking (83 percent) more often than for health-related activities such as refilling a prescription (59 percent) or monitoring fitness and health improvement goals (42 percent). This could be because some people don’t have as many health care needs. It could be the apps and other solutions are not as user-friendly or effective. Certainly, health care needs are often complex: getting a diagnosis or making a treatment decision is typically more challenging than booking a flight. While smartphones, apps, and websites may not be able to help consumers take care of every health care need, technology can help them monitor their health and make informed decisions about their care. As technology improves, and as consumer demand increases, we can envision a world where technology can help with accurate diagnoses or provide the information needed to monitor and treat certain conditions. Currently, wearables and apps can help consumers track their health and fitness (for example, sleep quality, dietary goals, exercise), monitor vital statistics (blood pressure, pulse, breathing function), receive medication alerts or reminders, and measure, record, and transmit data about medications or treatments. According to our survey results, consumers’ use and interest in these technologies has grown in every survey category. For example, more consumers are measuring fitness and health improvement (42 percent in 2018, up from 32 percent in 2016). Other categories saw less of an increase, but more consumers overall are using technology to monitor their health, refill prescriptions, receive medication alerts, and measure and transmit data about their health than in prior years. Millennials (people born between 1982 to 1997) are far more likely to use technology (websites, smartphone/tablet applications, digital medical assistants, and personal medical devices or fitness monitors) for health care purposes than are people who were born before 1946 (see figure 1). However, our survey results identified a segment of seniors who use technology in other aspects of their lives and are interested in using it to meet their health care needs. We discuss this group in a later section. A majority of consumers we surveyed are trying, or are interested in trying, virtual care. Although 77 percent of consumers have never tried a virtual visit, 57 percent are willing to try. Of those who have tried virtual visits, 77 percent report a high level of satisfaction (see figure 2). Consumers with a chronic condition, and those who said their conditions have a major impact on their lives, are even more likely to report high satisfaction with virtual visits. According to our survey results, most consumers who have common chronic diseases are highly satisfied with virtual visits. However, the survey findings suggest that there is room for improvement in the overall virtual visit experience (see figure 3). Only 53 percent of consumers thought the professional they saw during the virtual visit was as professional or knowledgeable as the professional they see during an in-person visit. Less than half (44 percent) of respondents said the wait time was shorter for a virtual visit. Only a third of respondents felt they received all the information they needed from the virtual visit. These findings suggest that hospitals and physician practices should consider training clinicians to conduct virtual visits. Prior research has shown that bedside manner is important to patient health.9 As more physician-patient interactions happen virtually, physicians and health systems might need to determine how to ensure an appropriate “webside manner.”10 This could include strategies for focusing on the patient during the virtual visit, conveying empathy and compassion, and communicating with the patient even while looking at data or notes and not making eye contact. For many physicians, providing care without having the benefit of touch and personal interaction will be an adjustment. Deloitte has conducted research that demonstrates the importance of the patient-physician relationship. Our 2016 Consumer Priorities in Health Care Survey11 showed that this relationship is a top priority for consumers. Consumers trust their providers and want a personalized experience with them. The “personalization of care” was the top-ranked measure among consumers, ranked higher than measures related to cost or convenience. This measure includes personalized experiences with providers (for example, feeling heard and understood, not feeling rushed, and having a clear understanding of directions and information). Convenience is often cited as a strong selling point for virtual visits, but our survey showed only about 44 percent of consumers reported their wait time was shorter. If a physician is switching between in-person visits and virtual visits, the patient in the virtual visit might still have to wait. Some practices are beginning to have physicians conduct only virtual visits on certain days of the week so that the process is more seamless for patients. Personal connection. Twenty-eight percent of all consumers we surveyed thought the personal connection with the physician could be compromised; 40 percent of seniors reported this concern. Quality concerns. Twenty-eight percent of consumers said they were concerned that the quality of the virtual visit would be lower than an in-person visit. Again, this was more of a concern for seniors (37 percent). Confused about access. About a quarter of all consumers, across all age groups, were not sure if virtual visits were an option for them. Fifty-four percent of tech-savvy seniors reported using technology to refill a prescription, compared to 16 percent of seniors who did not use technology as much. Twenty-five percent of tech-savvy seniors said they used technology to monitor health issues, compared to 3 percent of seniors who are not as technologically savvy. Sixty-two percent of tech-savvy seniors were interested in using technology to monitor health issues, compared to 23 percent of seniors who were not considered technology-savvy. Sixty-one percent of tech-savvy seniors were interested in using technology for accessing, storing, or transmitting personal health information or records to clinicians, compared to only 19 percent of non–tech savvy seniors. While about half of the consumers who use technology to track or monitor fitness or health improvement goals said they share this information with their doctors, seniors from this group are more likely to share (67 percent) than are millennials (59 percent). Health systems and physician practices looking to implement or expand virtual health capabilities should consider looking at how their older patients use technology in their daily lives. Understanding these habits could help providers improve the adoption of virtual health within this population. When deciding how to approach virtual health, it is important that health systems and physicians understand the needs and preferences of the populations with whom they want to engage. Seventy-five percent of consumers who are using technology for health care purposes use digital assistants to receive reminders or alerts about medication, while 72 percent of this group use digital assistants to monitor health. For monitoring health, digital assistants are most popular among millennials in this group (81 percent), although 44 percent of seniors use them for this purpose. For receiving medication alerts, 74 percent of millennials who use technology for health care purposes use digital assistants, compared to 57 percent of seniors in this group. Virtual health is expanding in hospitals and health systems, and patients, physicians, and employers are growing more comfortable with the idea. Whether implementing a new virtual health initiative, or scaling up an existing program, health systems should have the right infrastructure and strategies in place. Beyond health systems, many health plans and medical technology companies are also making significant investments in technology, and many of them are trying to use their virtual health strategies to distinguish themselves in the health care marketplace. Workforce readiness and engagement. Aligning clinicians and staff across the organization’s network to support and advance virtual health offerings with a focus on improving quality, patient experience, and cost effectiveness. This could call for training opportunities. Patient experience and engagement. Offering a differentiated virtual health experience, supported by education and marketing of a clear value proposition to promote utilization, patient retention, and improved outcomes. The patient’s condition, preferences, and other prior experiences will likely influence their perspective. Health care organizations should consider segmenting their patient populations and continually seeking feedback on the patient experience. Care-model design. Integrating virtual health services into a seamless delivery process with coordinated care across services and settings. This could call for strategies to adjust operational structure and staffing to integrate virtual health workflows into regular operations. Platform development or selection. Investing in or using platforms that engage all health care stakeholders including patients, physicians, specialists, formal and informal caregivers, manufacturers, and health plans. Different platforms from many different companies are offering solutions to help enable virtual health services. These include, but are not limited to, large technology companies, new startups, and pharmaceutical companies. As health care stakeholders seek to attract and retain patients, and improve health outcomes, they should recognize that all kinds of consumers are interested in virtual health. Our survey showed that millennials through the oldest patients are all potential virtual health patients. This survey and previous Deloitte consumer health surveys show that baby boomers who are aging into Medicare, as well as some seniors, are interested in using virtual health to stay in their homes and get care in preferred settings longer.14 Health systems, health plans, and technology companies should consider segmenting older consumers based on their experience with technology. They should also consider determining appropriate outreach and communication strategies and the potential need to integrate new tools and virtual strategies into the care model. Since 2008, the Deloitte Center for Health Solutions (DCHS) has periodically polled a nationally representative sample of US adults (18 and older) about their experiences and attitudes related to their health, health insurance, and health care. The national sample is representative of the US Census with respect to age, gender, race/ethnicity, income, geography, and insurance source. In February and March 2018, DCHS conducted an online survey of 4,530 American adults. The survey was administered in English and Spanish. This survey seeks to understand consumer interest, preferences, and attitudes around technology-enabled health. In the survey, millennials are defined as those born between 1982 and 1997, Generation X as those born between 1965 and 1981, baby boomers as those born between 1946 and 1964, and seniors as those born before 1946. 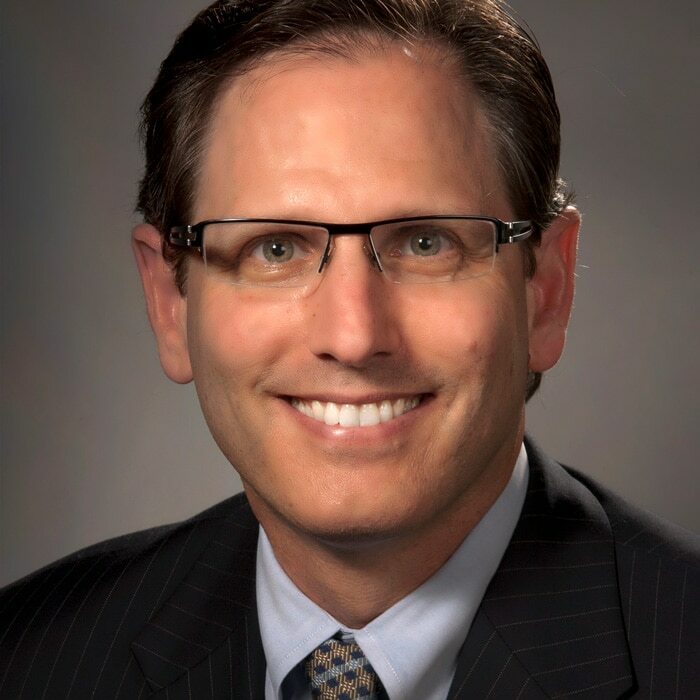 Dr. Ken Abrams, Deloitte Consulting LLP, is a managing director in Deloitte’s Strategy practice and is Deloitte’s Life Science and Health Care national physician executive. He is based in Miami, FL. Casey Korba, MS, is health policy manager for the Deloitte Center for Health Solutions, Deloitte Services LP. She is based in Washington, DC. Leslie Korenda led the survey design, implementation, and data analysis. The authors would like to thank David Betts, Leslie Read, Ralph Judah, Matt Kaye, Chris Zant, Urvi Shah, Shane Giuliani, Sherilyn Notte, Natasha Elsner, Alexis Concordia, Lauren Wallace, Claire Cruse, Steve Davis, Samantha Gordon, and the many others who contributed to this project. We would also like to give special thanks to Paola Castillo for translating the survey from English into Spanish, which allowed us to reach a broader sample. Consumers are on board with virtual health options has been added to your bookmarks. Consumers are on board with virtual health options has been removed from your bookmarks.